Taking the time to arrange bespoke plans for individual students will mean everyone can make the most of school trips. have previously written about how inclusion means everyone goes, even on the road. 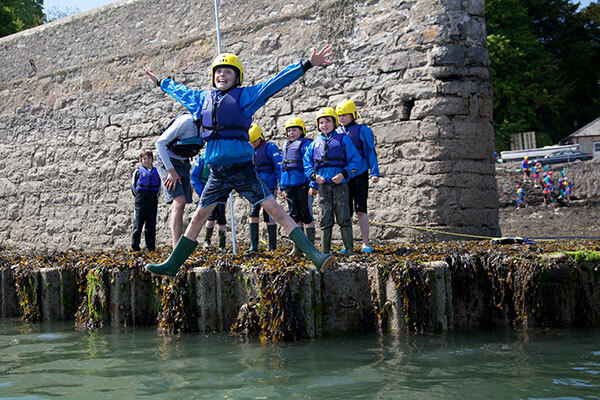 After taking 231 Year 7 students away to Anglesey for two busy and fun-packed days on residential, I’m in no doubt that well-planned educational visits can have a significant positive impact on all young people, especially those with additional needs. Here's an outline of the steps we took to ensure the trip worked for all of our students. When planning a trip, it’s important to ensure they are appropriately risk-assessed, and individual plans for students with specific needs discussed carefully in advance. The report by Lord Young, Common sense: common safety (2010) advises on the removal of unnecessary bureaucracy in health and safety. It’s a useful starting point, particularly for planning processes that involve ‘a huge amount of form-filling – ranging from consent forms to risk assessments', not to mention a lot of time and attention. shift from a system of risk assessment to a system of risk–benefit assessment and consider reviewing the Health and Safety at Work, etc Act 1974 to separate out play and leisure from workplace contexts. You can read more about this via Learning Outside the Classroom. Planning the trip carefully is important, but planning for individual needs is essential. We split our students into three groups. Each group had a dedicated member of staff as team leader. Students were then split into smaller sub-groups, with one member of staff per group. We expected these groups to change as students choose between the different water and adventure activities. Having these smaller groups meant that all activities could take place with a member of school staff and an instructor from the centre present. Additional support staff, teaching assistants and a speech and language therapist complemented the 26-member staff team, making it a minimum ratio of staff-student ratio of 1:10. The trip leader and I held individual planning meetings with students and their parents/carers to arrange bespoke medical and personal care plans, including the administering of medication. Paying close attention to individual needs is vital to a process like this, so we can support students with complex needs in adverse conditions. There is growing evidence to suggest that outdoor learning has a positive effect on pupil development and wellbeing, particularly for students with SEND. With this in mind, school trips and educational visits should be meaningful teaching experiences that enrich young people’s social, personal and emotional development. New environments provide opportunities for stimulation that are particularly beneficial to students with SEND, and can improve their independence and self-confidence. Seeing a student with a significant visual impairment deep in the trees, lighting a fire and smelling the smoke, feeling the heat, tasting the marshmallows, exposing the senses to new experiences was fantastic. Supporting another student through the night walk in an all-terrain wheelchair, the head-torch illuminating the way as the front wheel cut through the mud and chair bounced over the tree roots all these experiences allowed the young people truly unique opportunities to challenge themselves while undertaking new tasks. Research on outdoor education highlights that outdoor learning is beneficial to students because it makes them healthier and happier, and subsequently they do better academically. Considering these benefits, outdoor learning should be something all schools still strive to incorporate as part of the curriculum. In the current climate, I completely understand how such ‘extras’ are at risk of being jettisoned in favour of core curriculum content. My experience this week – and most importantly the experience of our students – provides further proof, if it be needed, that a thoroughly planned and supported educational visit can improve learning outcomes, as well as provide a fun day out! This year’s residential trip was again to the Conway Centre in Anglesey; a fantastic place for a residential. Accommodation and a range of excellent activities were all on one site, with experienced instructors who are fantastic with all students, particularly those with complex additional needs.